Yesterday, 29 December 2016, my morning ride took me to 2,002km of cycling this year. To be more exact since 16 April 2016. I'm extremely chuffed with this achievement and very grateful for all the support and encouragement I've received from friends and family. My cycling is very closely linked to the behavioural science I have been practising and sharing in all areas of my work in 2016. In a nutshell, my progress in cycling is a result of applying this behavioural science, know as Acceptance and Commitment Therapy (ACT), to myself. One of the core features of ACT is that we can explore and identify qualities (or values) that we could choose to act as a beacon for our behaviour and actions. This can give us a glimpse of a life lived with more meaning and purpose. The alternative is permitting our unhelpful thoughts and emotions to dominate our behaviour and actions. This can take us into frustrating, familiar and habitual patterns which often do not express who we would like to be and can also stop us doing things that are important to us. My thoughts and self talk can be harsh and critical. The unhelpful thoughts and emotions in relation to cycling haven't gone away. They are still with me and show up regularly. The qualities of action (or values) that I chose to guide my actions have been strengthened through an appreciation of the results of my cycling. For example, increased fitness and weight loss. Also, the sheer joy of getting out on my bike, increasing my kilometres, varying my routes and exploring my surroundings have allowed me to continue and develop my activity. Encouragement and support from others has also been very powerful for me. We all get punctures, both real and metaphorical, in the pursuit of something new that has meaning for us. You can always reconnect with your values if it hasn't gone so well and sometimes find new ways to express them. Present moment awareness (another key feature of ACT) is an ongoing skill to be developed. It helps us to build that mental muscle that allows us contact with the present moment. Taking bold action (such as signing up for the Dartmoor Classic Sportive Medio - 109km in July 2017!) can be scary and invigorating at the same time. 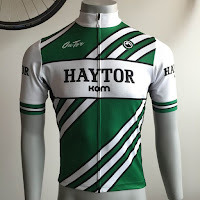 I've also discovered that cyclists are a friendly bunch and that a middle aged man can never have too much lycra. You can read more about the approach here in a blog I wrote in May after I'd clocked up 124km. Here a link to a brilliant article on www.99u.com by Dr Christian Jarrett - although it's aimed at the creative industries I recognise a reluctance to take 'authentic pride' in many of my coaching clients. 'Authentic pride' is not the action of the hubristic bragger but 'satisfaction and pleasure we take from the positive outcomes of our hard work and dedication.' I find that we don't always pause to take a moment to appreciate positive outcomes and there is always the thought that 'pride comes before a fall' which can temper our behaviour and really 'pop our balloon'. 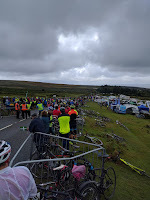 Here's my blog for OnTor Cycling with my reflections on a brilliant weekend on Dartmoor to celebrate Stage 6 of the Tour of Britain 2016. Who would have thought at the beginning of this year that I'd be such a keen cyclist by September and, as an unexpected part of my portfolio career, working with Dan (a top Yorkshire man, who combines humour and inspiration in equal measure) on his cycling start-up. I'm having a blast. 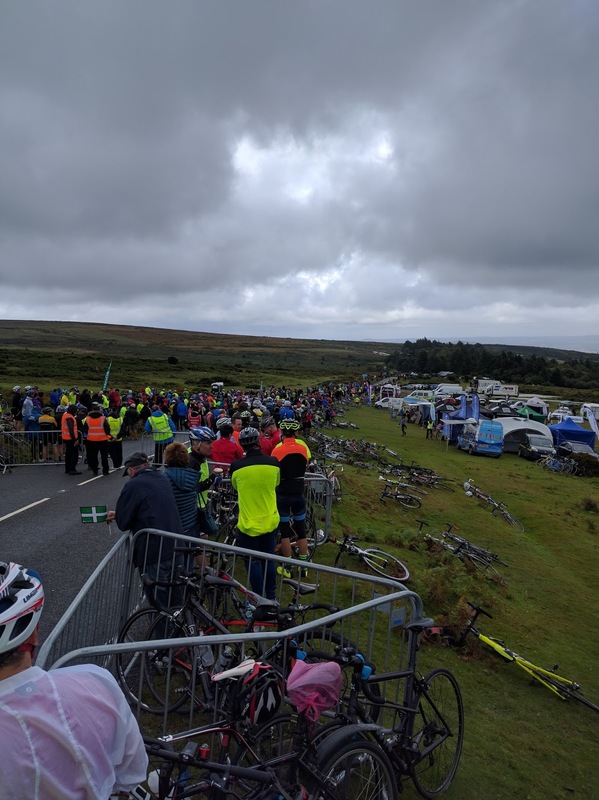 On Thursday, I headed down to Devon to visit my mate Dan (the founder of OnTor) and his family to watch the Tour of Britain summit finish on Haytor. We’d worked together on a design to celebrate the Dartmoor finish and we were really chuffed with how it looked on the first OnTor T-shirt. 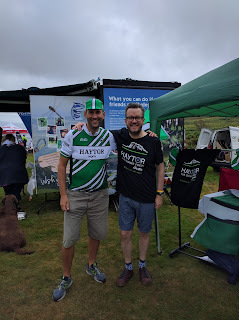 We were hoping to spread the word about our T-shirt and OnTor to the assembled cycling fans. Dan sent me a message whilst I was on the train to say that he’d been contacted by the Devon stage organisers. 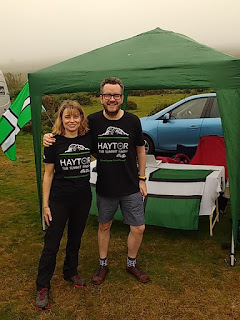 One of their clothing sponsors did not have sufficient stock to attend on Haytor so we were delighted (and a little daunted) to be invited to step in at the last minute. The team leapt into action to prepare our stand and source some top notch emergency rations for the day (viennese whirls and jaffa cakes). 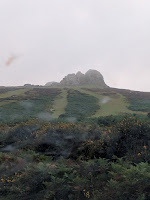 By the time I arrived in Devon, all was prepared, so we got an early night, ready for our 6am start to Haytor. 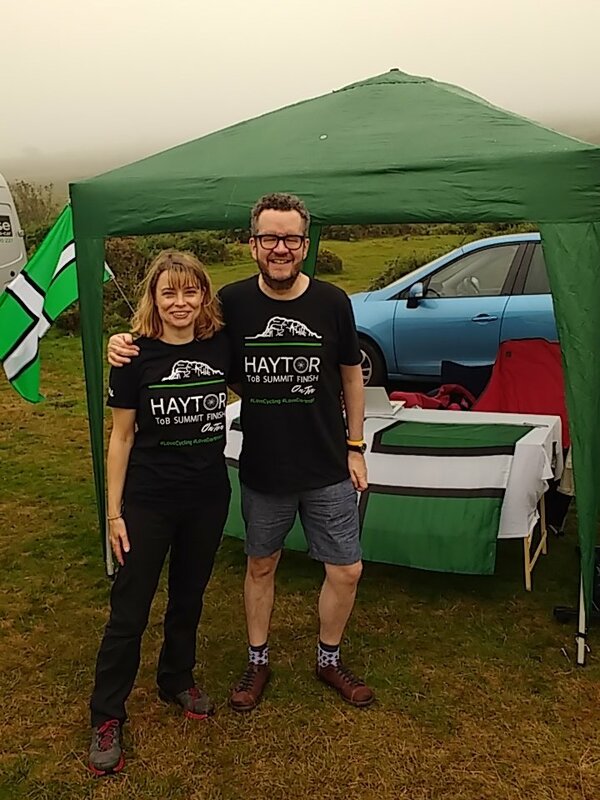 Mandy, a friend and loyal fan of OnTor, joined us and we headed off on the drive to the Stage 6 Finish. 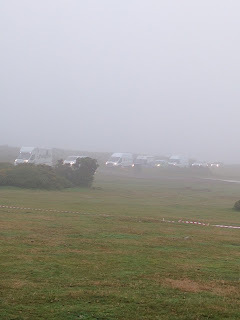 Dan satisfied the officials with our credentials and we were let through the roadblocks, arriving at the PromoZone area beneath Haytor which was shrouded in cloud. 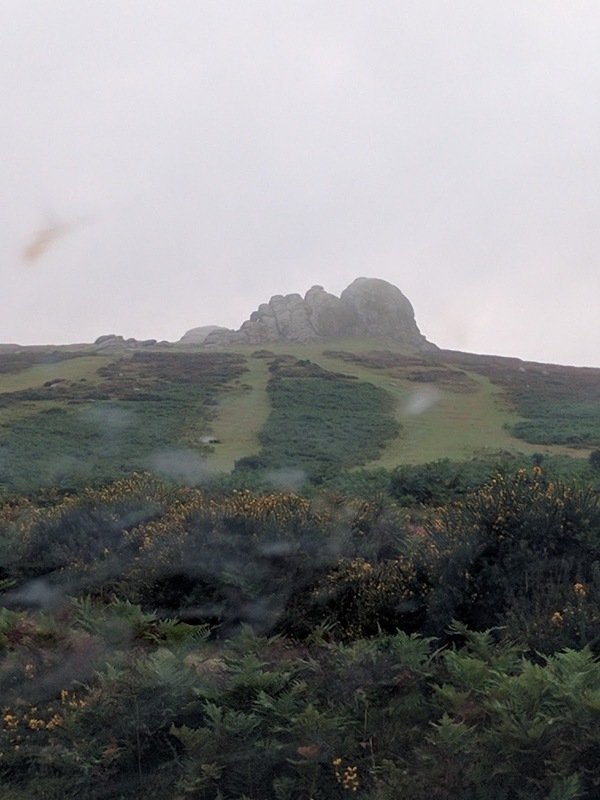 Haytor was an intermittent presence throughout the day. Our excitement was not dulled as the big boy brands and stands arrived in a wagon train through the fog. Although we couldn’t compete with them on their display budget we made a valiant effort to show our jerseys, t-shirts and caps at their best in quite challenging conditions. We’d also been expecting the team buses to be parked up very close to us but unfortunately they were relocated due to the poor weather. This scuppered our chances of a glimpse of our favourites (Mandy = Wiggins; Dan = Cav and me = Dumoulin). Mandy and Dan had brought several flasks and the regular brews and emergency rations were hugely appreciated by our little team! After our first cuppa we waited expectantly for the crowds. And the crowds did come. We soon got into the flow and were chatting to cycling fans about our startup and how things had developed since Dan first had the idea in late 2015. 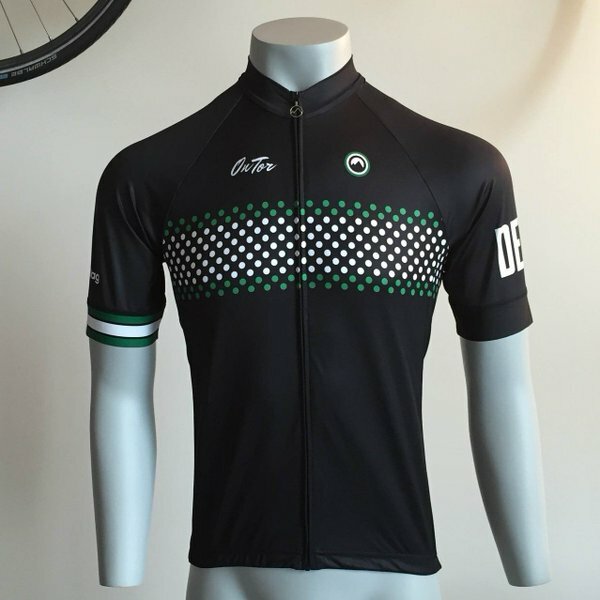 Since then, Dan has worked with Milltag to design and produce the first OnTor jerseys and we worked with Primal, a local cycling apparel company, on our first T-shirt. I first met Dan in early 2016 whilst we were working in our days jobs as interims in HM Treasury (Dan, accountancy; me, organisational psychology). We soon began discussing OnTor and I started to produce some sketches and ideas for social media. Dan’s enthusiasm also re-ignited my love for cycling but that’s a whole other blog! The OnTor strapline really does reflect what we’re about. We love cycling and we love Dartmoor. Any ways in which we can get involved and promote both are great. Dan has also begun to produce guides to some of the famous climbs on the moor and these will grow over the coming months. If you’d like to contribute by recommending or describing your favourite ride, be it on road bike or mountain bike we would love to hear from you. We’re very keen to welcome guest bloggers to our community. We’d like to sincerely thank all of you who visited our stand to find out more about OnTor and also those of you who purchased our jerseys, caps and t-shirts. 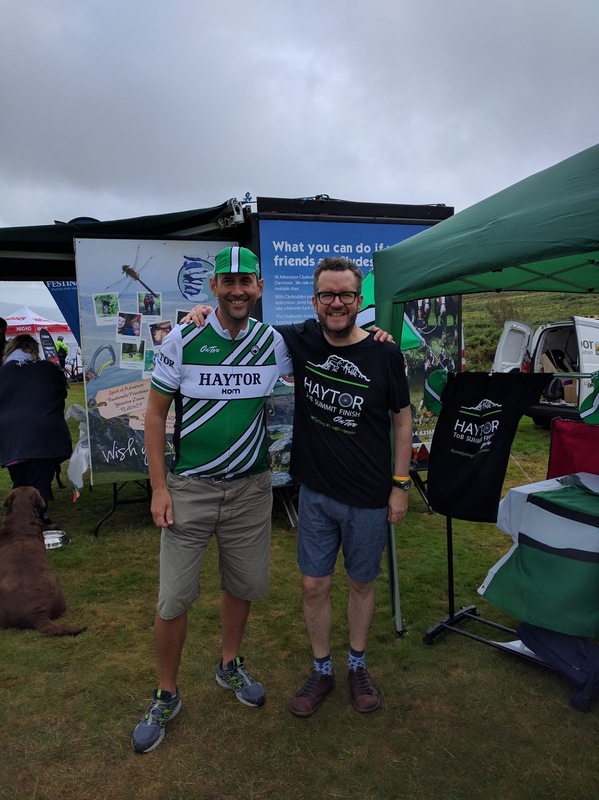 Your support is much appreciated and after the brilliant summit finish on Haytor, we hope to see you at a future event in the area soon. In the meantime you can see our first range of merchandise in our online shop. 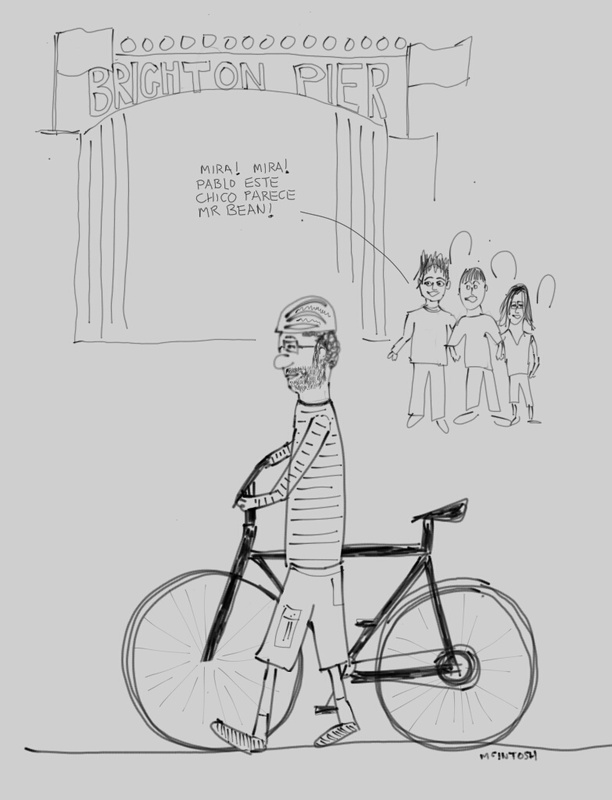 Cycling, unhelpful thoughts & Mr Bean! 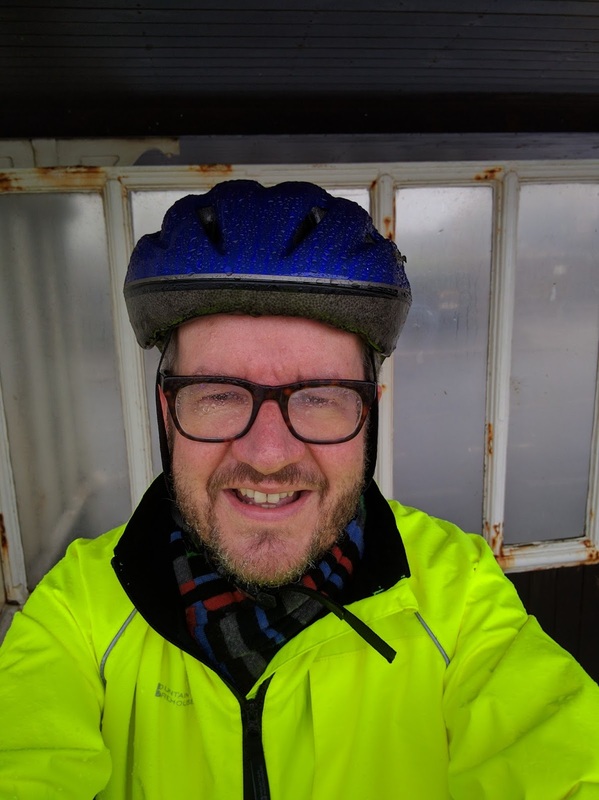 This is a sister post to my previous one where I described my values led action and how I'd found additional inspiration to get on my bike from my friend Dan. 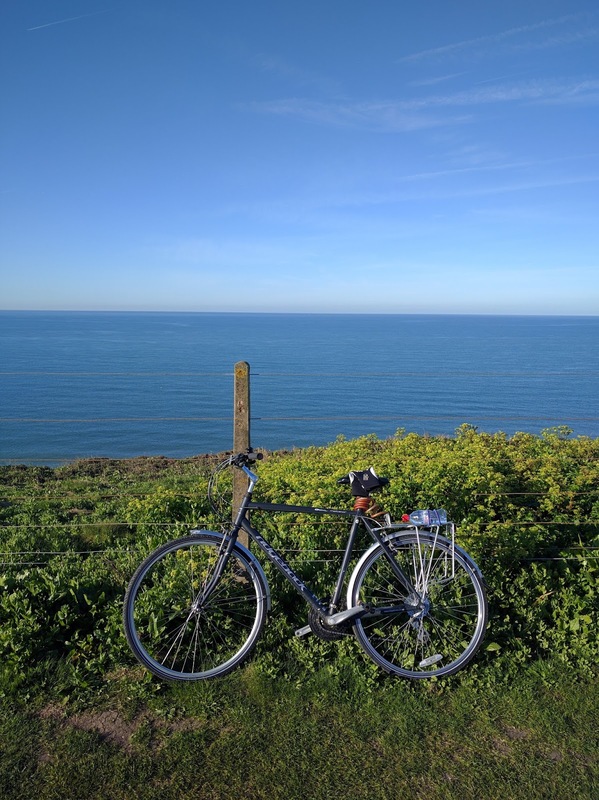 This post describes my unhelpful thoughts in relation to my cycling and how these thoughts have the potential to divert me from my valued activity. "All to often we react to our unhelpful thoughts as if they are the absolute truth, or as if we must give them our full attention"
I can't cycle up a slight incline never mind a proper hill. 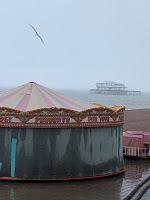 On my second ride out - as I reached Brighton Pier I had to dismount to walk around a group of Spanish schoolkids. As this was my second ride I was feeling pretty cool. I was wearing a pair of old shorts and a t-shirt and pulling off a vintage velo look. I heard one of the schoolkids saying "MIra, mira Pablo - esta chico parece Mr Bean." Now Pablo's mate didn't know I spoke Spanish, I'd love to have responded with a witty retort but the truth was it did deflate me and echoed my thoughts. As I got back on my bike I thought, "F*** You Chico - I'm enjoying myself", and went on my way. I also discovered that it can help change our relationship with these thoughts by sharing them, which in my experience, we don't often do. I've had some great conversations with Manel, Ali, Melinda and Dan about my unhelpful thoughts, which frequently gave me a new perspective and invariably made me laugh. These conversations also made me realise how these thoughts showed up in other areas of my life. I think it might be raining - best not to go. What if I fall off and can't go to Bristol. I recognised these as products of my mind and thought about how useful they were to me. I knew that if I invested my energy and attention in my unhelpful thoughts I'd probably stay in bed. I knew I had a choice between using my unhelpful thoughts as a guide to my behaviour or my chosen values of fitness, fun and courage. On this occasion I chose the latter and went our for a bike ride in the mist and rain. It's important to point out, it's not always easy to take values led action, there are often difficult thoughts and emotions associated with a direction that has meaning for us. From the action I had already taken I also had the evidence of the joy and vitality I experience when I'm on my bike. Strava tells me I've cycled 234km since 16 April which makes me extremely chuffed. I'm a cyclist! Who knew?! I seemed to spend a large proportion of the first three months of this year with some form of cold. Just as I thought I'd shaken off one I seemed to catch another. I put it down to lowered resistance from my hectic activity as I built my new career and also the joys of commuting. There was something at the back of my mind saying "you're not getting any younger McIntosh, you really should be taking some exercise and looking after of your health". At the moment a lot of my work is built upon the psychological foundation of Acceptance and Commitment Therapy or ACT. 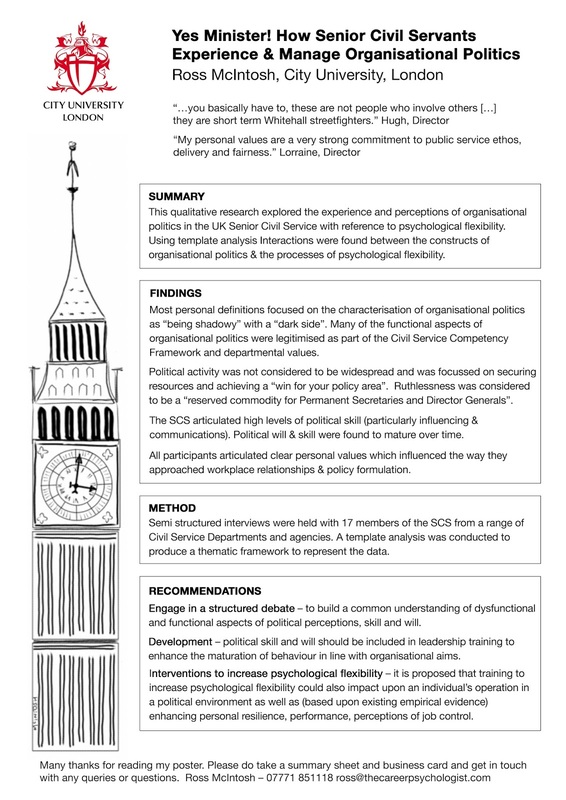 One of the key processes of ACT is the concept of values led action which is the topic of this post. I took some time to consider my values in relation to my health and leisure time and identified fitness, fun and courage as values that I could use as a guide which could provide a direction for my actions. One activity that came to mind was cycling. I've had a couple of different bikes over the years but I never really re-ignited my commitment, despite really enjoying the idea of being a cyclist. My various bicycles had typically become guilty reminders of my inactivity. 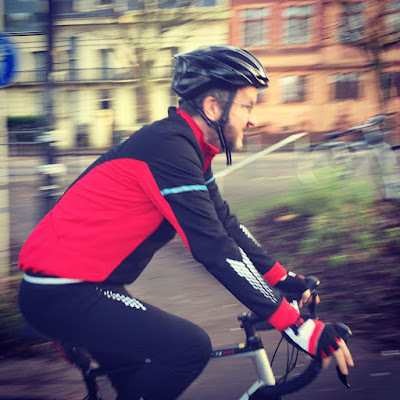 Cycling had never become part of my life like it was when I was at primary school, fleeing around the village and nailing my Cycling Proficiency Test. My inner thoughts and emotions in response to the prospect of getting on my bike were typically negative and cautious. How we relate to our internal world is another important process of ACT which will be the subject of another post in the next week or so. The idea that cycling could be an activity in the service of my chosen values of fitness, fun and courage was pretty compelling. Luckily for me, I had an additional source of inspiration. I'd been chatting to a friend at work, Dan, a cycling fanatic, his enthusiasm and energy were infectious. Not only that, but Dan was also taking action and embarking upon an exciting cycling venture with the creation of some some top notch, Dartmoor inspired cycling jerseys and a local virtual cycling community. You can check out his website here and the photos of the jerseys are at the end of this post. With my mind focussed on cycling I began to notice all the other velo enthusiasts in my daily life. 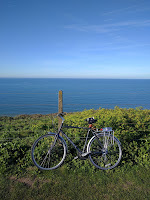 These additional environmental cues meant that in quite a short space of time I reached a point where I woke up one morning and decided it was time to go for a bike ride - that was on 16 April. It's now 2 May and in the intervening time period I've cycled 124km. Even just typing that makes me smile, I'm so blooming chuffed. The activity of cycling most definitely serves my values of fitness, fun and courage. 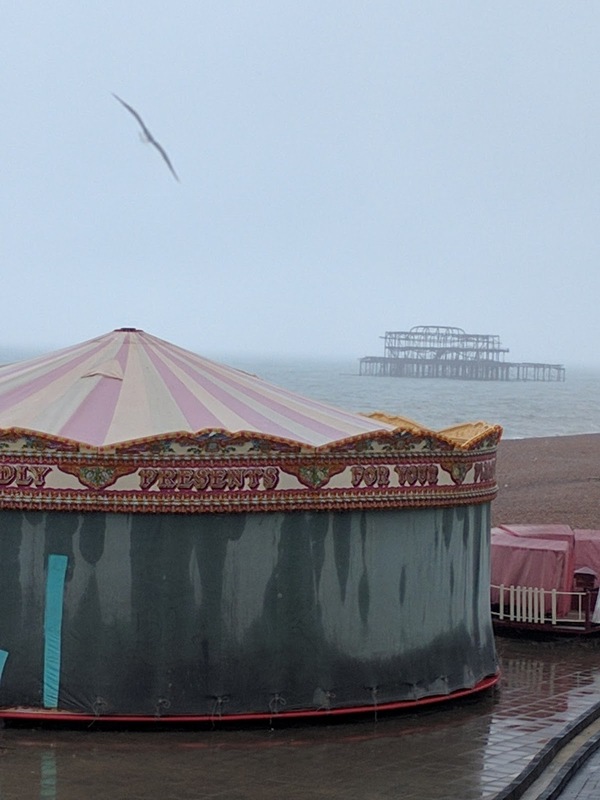 The sheer joy of being on two wheels and tonking it along the seafront is superb and I've even begun to tackle some hills. My next post will cover the multitude of unhelpful thoughts and emotions I've experienced (and am still experiencing) that could prevent me from taking action. What I'd recommend is that when you choose some values to act as a guide for your behaviour, don't forget to look to those around you, there may be a source of personal inspiration much nearer than you think!